Dinner is never a quiet event at our place, although this is normally due to our children’s lack of table manners, or their refusal to sit still and well, eat. 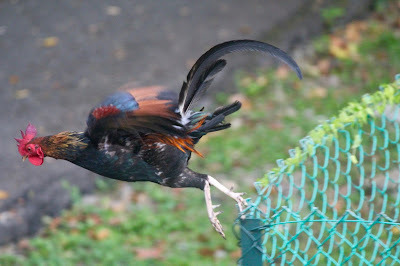 But today we have another form of entertainment: a family of wild jungle fowl. Mother hen struts around the grass niftily, a clutch of three babies in close pursuit. It’s close to bedtime, and mother look up at the trees, searching for a good spot to roost. She spots a fine branch, takes off and flutters steadily to a high-up branch. Her three babies look after her with trepidation. Mummy went very high! After a minute of staring, number one flies up. Its little wings can’t reach quite as high as mum, and it lands on a dead palm leaf halfway. After some quiet deliberation, number two follows suit. It ends about a meter higher that the sibling, and perches on its higher branch triumphantly. Number three now can’t stay behind, and flies up, managing to come highest of all. But none of them is as high as mummy, and slowly they flap their way further up. Suddenly, there is a rustle in the bushes and a fierce rooster appears. He flies up determinedly to where his wife is sitting, and a ruckus erupts, with leaves shaking and chicken shrieking. The flustered hen soon jumps down from the tree again and lands in the grass with a thump. The babies look down from there spots at different height, confused how to proceed. Dad comes down too, in hot pursuit of mother. He runs after her with his tail up high, and his wings slightly spread. Mother is in no mood for this, and runs off, her wings open too, her legs bent and her neck low. For a minute they chase each other in and out the bushes whilst their offspring looks down, showing their dismay with louder and louder discerning cheeps. The first one decides to take action, and dives down from the tree. At this point, cat Snowy, who like us has been observing the scene from a distance, decides to get in on the action. Slowly she prowls towards the baby, prompting Linde to panic and rush over to save the baby. The chick decides to scramble, quickly clambers up the bushes, until it is safely out of reach. Linde too decides to cut her losses; barefooted as she is, she doesn’t dare follow into the wet bushes, where Snowy stares up longingly to the little fluffy snack. The other two babies, still sitting up high, still cheeping noisily, now decide to come down too. Soon all three of them run around the grass, looking for mummy, who is still being chased around the bushes by dad. Mother finishes off the kerfuffle with a big peck into dad’s tail. He settles down, slowing to a strolling pace, as if he never did anything more exciting this evening than a turn around the garden. Snowy sticks her nose out from under the bushes, spying the three chicks in the middle of the grass. She attempts to stalk, but has counted out dad, who swiftly runs past her, scaring the little cat back to our table for a tumble with sister Pepper. The family, reunited, leisurely strolls off to the other side of the garden, the three babies running their little feet off to keep up with their parents. We sit and watch and enjoy. Who needs a television when you have a garden? 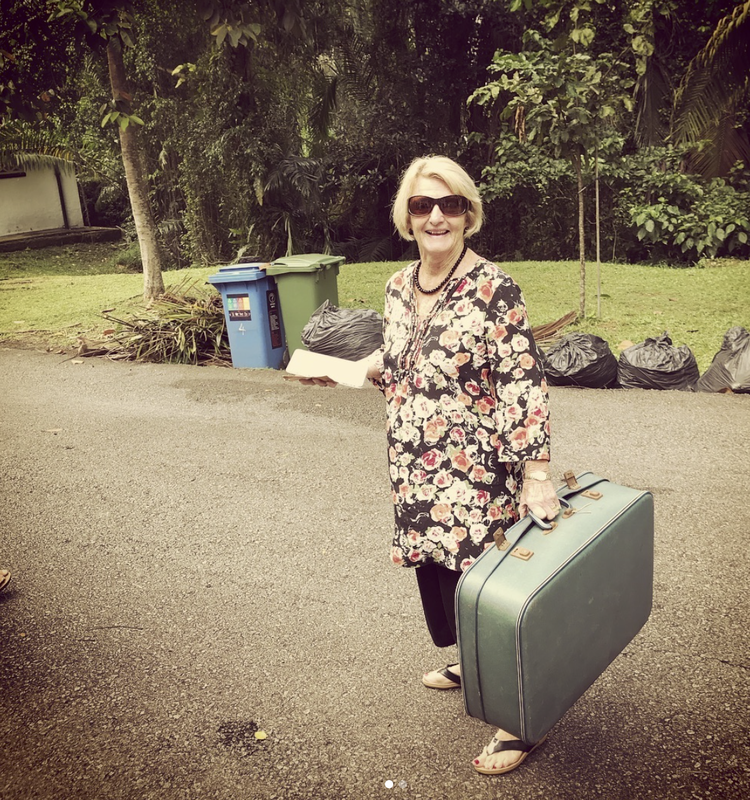 Yesterday the suitcase went home, after spending forty years in a dusty attic. A few years ago we found it there when we lifted the trap door to get rid of the rats. For something sitting in a tropical attic amongst rats, civet cats, termites and who-knows-what-else it was in a remarkable good shape. There was still a label attached from a boat journey, Durban to the Portsmouth, in 1976 - coincidentally the year I was born. 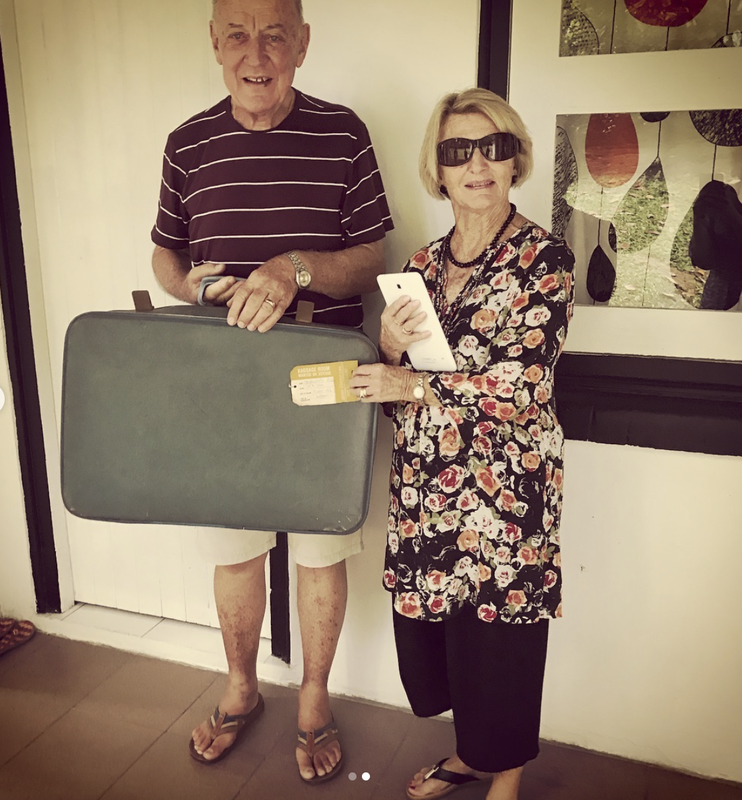 Curious about who lived in our house that long ago - yes I'm that old - we tried to find out who the owners of the suitcase could have been. But we had no luck, our search yielded nothing. Still, we could not bear to throw the suitcase away, and it became a plaything for our children. Yesterday, when I was just about to leave the house with my visiting parents, my father spotted a lady taking photos of our house. Living in such a special, historic house, we are used to snoopers, but this woman took it to a whole new level. When she saw us see her looking at our house, she immediately came up to apologise politely. She explained she had lived here in the 1980s with her own young family. Sensing a story, I invited her and husband, waiting her patiently in a taxi, inside to see how the house had changed. As the taxi uncle got more and more impatient, they all too soon had to move on. And something in my brain clicked. Yes, the suitcase was theirs! Our lady visitor was so excited she immediately insisted on taking it home with them, home being Australia where they had settled for now. The husband grumbled, we are only allowed to check in two pieces, but to no avail. That suitcase was going home! With a smile we waved off the couple and our suitcase - now theirs again. Reunited after 40-odd years! ‘Watch out,’ the guide in front of me yells over his shoulder when he suddenly stops in his track. ‘It is Jackie. Jackie loves to hug. But don’t worry, she is not dangerous like Mina.’ In this jungle we are not alone, we hike with some phenomenal creatures: orang-utans. We are in Gunung Leuser National Park in North Sumatra, more specifically in the environs of Bukit Lawang. For years I have wanted to do a proper jungle trek with the children, camp out it in the bush, and this place offers something that I hope will entice my offspring to hike six hours a day without moaning: the chance to encounter both semi-wild and wild orang-utans. And we are not disappointed. First we run into Ratna, a semi-wild female and her baby. There used to be a rehabilitation centre in Bukit Lawang, which closed years ago as the forest is fully populated. The reintroduced orang-utans stay close to the village, and humans, creating an excellent opportunity for eco-tourism. The rehabilitated apes are mostly females, who mate with local wild males. But unsurprisingly, there are also problems with human orang-utan interactions. Hungry for lunch, but we have a follower! Thankfully our guides (unlike some…) are very responsible and explain how we should never get too close to the orang-utans, and they never feed them or leave trash behind – in fact, on our second day we have to postpone our lunch for hours when a wild orang-utan kept following us and we could not sit down and dig into our excellent fried rice and noodles. The children weren’t sure whether to be annoyed with hunger, or amazed by the attention. But, as out guide Tara explained, there was one exception to his no-feeding rule: Mina. If we met her he might have no choice but to feed her, as she was known to become aggressive. He had scars to show for that. So when we entered her territory (orang-utans are solitary animals that stay in a set area), lo and behold, there Mina was, standing in the middle of the path with upheld hand to demand her toll. Tara carefully doled out sunflower seeds whilst the other guides herded us past swiftly and safely. Mina with her scarred face, looked imposing and to be honest, rather scary. So later that day, when we approached Jackie, I was a bit apprehensive about this ‘hugging’. And rightly so, as when the guides cautiously herded us past her, Jackie grabbed me firmly by the arm and pulled me to her. Orang-utans have amazing strong grip! The soothing voice of Tara told me to sit still, and not worry. Jackie pulled me down, forcing me to sit on the floor next to her. The guides tried to distract Jackie with snacks that did not interest her in the least, so I sat there, with the rest of the family laughing at me. Jackie, looked at me with big pleading eyes and it took me a lot of restraint not to give her a full bear-hug. Human attention was clearly what this lady craved. After I was finally released we saw several more wild orang-utans and their nests high up in the tree. But of course orang-utans are not all there is to see in Gunung Leuser Park! During our three day trek we saw lizard, giant ants, butterflies, all sorts of greens and sceneries. Our first evening camping by the river we spotted a group of Thomas Leaf monkeys (called Beckham by the guides, can you guess why?). We were unimpressed by the long-tailed macaques (we can see these in our own garden), but the baboon-like pig-tailed macaques were exciting, if not a tad intimidating. Building dams whilst washing up in the river, eating the most amazing Indonesian food cooked by our guides, and sleeping in the sounds of the screeching jungle – it all made an amazing experience. The second day Tara, impressed by the speed and endurance of our children, decided we were fit for the long steep way. It is beyond me why, but on a normal road my children lag behind needing constant urging, yet on a steep mountainous jungle trek, with only tree roots and lianas to pull you up, they rush up leaving me short of breath. The steepest of climbs offers the highest rewards: from the top of Orchid Hill we had an amazing view over the Gunung Leuser Reserve and its flowing hills. That evening we had just arrived at our new camp and were having a quick bath in the river when the skies broke; a big thundering storm made the river we had just swam in bulge from of its course into a thundering rage. It was a simple tropical storm, one we are used to in Singapore, but deep in the jungle we were sill in awe. Not long ago flash floods caused by illegal logging upstream had swept away most of Bukit Lawang village – a story that makes us firmly aware of the brutal forces that get unleashed when we humans interfere with nature. We sat in our mostly-dry shelter munching snacks and drinking sweet hot tea and kept our fingers crossed it would eventually stop – if the river would not calm down we would it be able to tube down it the morning after. Thankfully we woke up to yet another beautiful day and we swiftly tubed back to a day of relaxing in the village. Our experience with the magnificent Mina and Jackie left me with mixed feelings. These semi-wild orang-utans were spoiled for life when they were taken from their mothers as a baby and raised by humans. After rehabilitation they lead good lives; they roam in their natural habitat and by reproducing with local wild males help preserve the species. They have become a tourist attraction, which has its complications, but at the same time eco-tourism can play an important role in providing income for the local community. Eco-tourism promotes awareness on the importance of nature conservation and I hope in that way Mina, Ratna and Jackie can all continue playing their part in reserving all the important species that live in the Gunung Leuser Nature Reserve. In any case, we had a great time and learned so much. 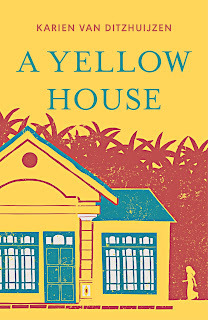 In my novel A Yellow House that came out this summer [minor spoiler alert!] the yellow house of the title is a dream. A goal. It is what Aunty M wants to build for her daughter Nurul in Indonesia with the money she made working in Singapore as a domestic worker. 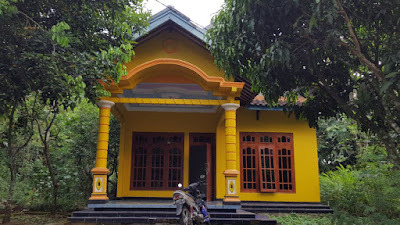 But did you know this actual yellow house already exists in Java? For years I taught a ‘Dreams Class’ at HOME shelter for ill-treated domestic workers. The shelter houses women that have run away from their employers. Women stay at HOME shelter for a plethora of different reasons. Some haven’t been paid their salary, are overworked. Some were abused – physically or mentally. Others were simply homesick but their employer didn’t want to let them go. Women stayed there for days, months and sometimes even years. In the Dreams Class we take them away from their troubles for a few hours. A favourite in this class is the Million Dollar question. We are lucky, we have won the lottery, 1.000.000 $$$! In the brainstorming game that follows, the first thing almost every single woman does, is built a house for their family. A house is solid, will last and can be shared with loved ones. It is the ultimate dream for many migrant workers. Talking about these imagined houses made twinkles burn in their eyes while we talked about how best to make our dreams come true – even without winning the lottery. It is obvious how working abroad can bring prosperity to a country but we should not forget what it costs the families involved. In A Yellow House, Aunty M’s daughter runs away – she can’t forgive her mother for abandoning her for years, even if this is the only way to pay for her education. Back in Java, past rolling rice paddies and past mosques with gleaming spires, a sugar cane factory and many houses of all colours, we finally reached our destination: the original yellow house. A tad jealous I admire Indah’s house which is painted in my favourite colour: a warm, rich, ochre. Inside we meet her family and eat the best meal we ever had. Getting to know her family, friends, her village and her beautiful house deepened our relationship and understanding of her life. So did Aunty M ever get to build her yellow house? Well, I gave away enough, if you want to find out, you’ll have to read the book! 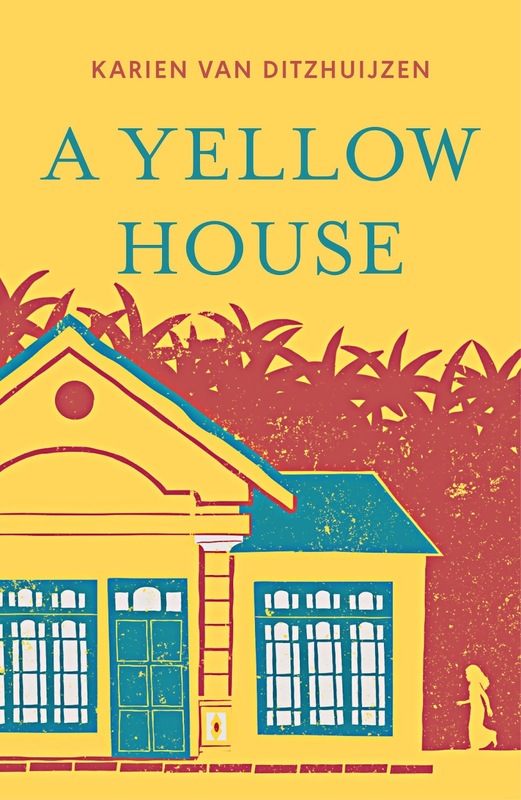 A Yellow House is published by Monsoon Books in the UK and available in bookstores in Singapore and the UK as well as online retailers (for instance here or here) or on Kindle or Kobo. In the Netherlands it will be available in bookstores from October 2018 as well as here or, already now as ebook.